Cabbagetown is one of the most popular and storied neighbourhoods in Toronto, and it is located on the eastern side of Downtown Toronto. 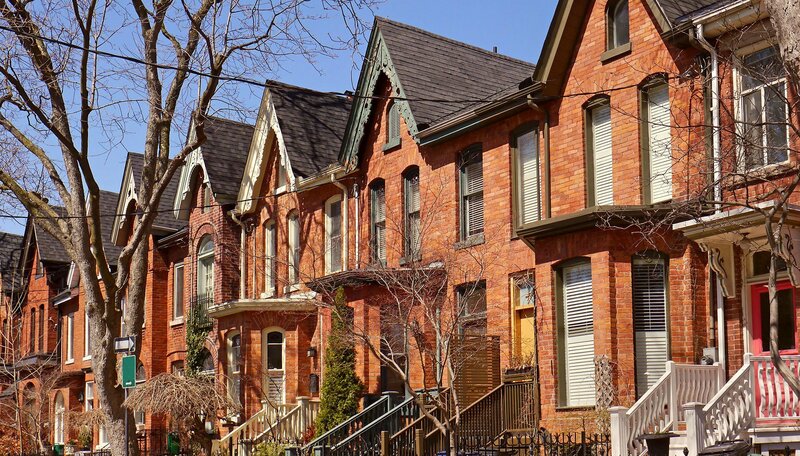 It is known for its concentration of Victorian houses that were built for the Irish immigrants who worked for various industries throughout eastern Toronto. It has a bending border. Starting at its northernmost point, it curves down Rosedale Valley Road and Bayview Avenue on its northeast, turns sharply westward on Gerrard Street East, turns south on Parliament Street, turns west again on Shuter to create the southernmost border, then northward on Sherbourne Street creating its westernmost border, turns eastward on Wellesley Street East, and finally back up Parliament. 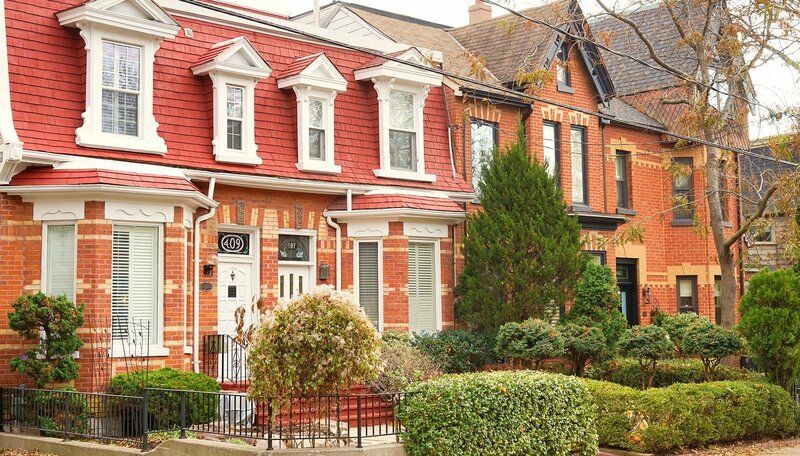 According to the neighbourhood’s Preservation Association, this is the largest contiguous area of preserved Victorian houses in North America, so it makes sense that most home sales in the region are for semi-detached homes, which accounted for 39% of total homes sales over the past year. There’s a shift coming, however, with townhomes accounting for 22% of total homes sales, and condos accounting for 18%. The average home price in the region over that time was $1,123,623, which can be divided into an average freehold home price of $1,339,152, and an average condo price of $567,560. The neighbourhood is centered round Parliament Street, which is the commercial cornerstone of the region. There are loads of shops and services here, including a Dollarama and No Frills, which act as the community’s staple destination to pick up odds and ends. There are also a great deal of restaurants here that range from fast takeout establishments to high-end gastropubs. The most popular restaurant in the area is House on Parliament, which serves higher end pub grub and is outfitted with a warm wooden interior. There are some tremendous transit options around here too. There is street level transit in the form of streetcars along Carlton and Dundas Streets, both of which directly connect to the subway line via College and Dundas Stations, respectively. Both of these stations are part of Line 1 Yonge-University, which loops around the Financial District and reaches up to North York. Riders can also transfer onto Line 2 Bloor-Danforth to travel to either Etobicoke or Scarborough. This is a great starting point for drivers too because of the proximity of the Don Valley Parkway. This thoroughfare acts as the primary gateway into Toronto Proper and it is able to connect drivers to the entire GTA. Thanks to the DVP and its adjoining highways, disparate parts of the megacity can be reached within 30 minutes, including major employment centres like the Financial District, North York Centre, Islington City Centre, Scarborough Town Centre, and even Markham. Mississauga can be reached in 45 minutes with a car. These transit options make condos in this neighbourhood a great fit for home buyers and investors alike because job centres continue to spread out across the city. One byproduct of this is that professional couples may need to work in different parts of town, so they may be searching for a central location so they can both reach work within a reasonable timeframe. Being on the eastern side of Downtown Toronto, the Don Valley is situated right next door. This has one of the major rivers that give life the the city’s greenery, including Riverdale Farm. Once an actual farming village and then zoo, Riverdale Farm is home to historic buildings as well as a petting zoo for domestic farm animals. This is a great place to take the kids on the weekend! Cabbagetown is a tremendous solution for those who are looking to live in an urban environment without being surrounded by skyscrapers. 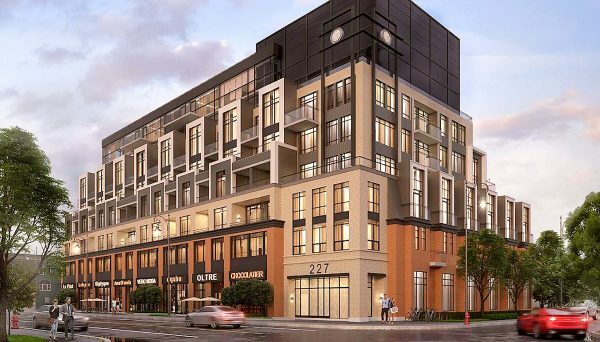 Its Victorian homes are beginning to blend with the mid-rise condo projects that are coming into the region, which together creates a distinctly urban vibe that’s imbued with a strong sense of community. There are also a lot of practical reasons why this is a good fit for home buyers and investors too. The transit in this neighbourhood is amazing because of the two streetcar lines that directly link up to subway stations. This veritably puts the entire city within reach. The Don Valley Parkway is also a terrific resource for those who drive to work as it connects to the Gardiner Expressway, as well as the Ontario Highway 401 - the busiest highway in North America. Using this network of highways, residents of this neighbourhoods are able to travel throughout the entire city. Interested? Make sure you register so you can be the first to learn about and condos being planned here.